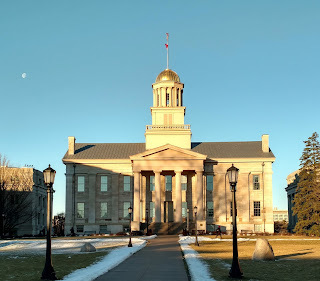 On February 23, University of Iowa’s president, J. Bruce Harreld, held a “town hall” meeting. It consisted of a one-hour data dump followed by a poorly managed Q&A session. Unsurprisingly, very few people in attendance were able to ask questions and receive meaningful answers. However, throughout the event Harreld repeatedly mentioned two phrases—“allocating resources” and “spreading the peanut butter”—that might be key to understanding the thinking and strategy of the new leadership of the University. Should the people who are served by this public institution, mainly students, worry? The short answer is, yes. Sadly, early signs suggest that those who need resources most will not get them: students with disabilities. [Named student] will need a copy of notes that’s thorough and more comprehensive than a PowerPoint or outline... The instructor may choose to share a copy of their own notes, make a confidential announcement to solicit a volunteer student note taker from class, or have a TA take notes. CLAS’s Undergraduate Educational Policy and Curriculum Committee (UEPCC) noted that “SDS announced on January 21 that [it] can no longer offer testing accommodations… SDS has thus asked instructors to handle testing arrangements for these students.” UEPCC members were unsure if instructors were qualified to do some of the tasks they were asked to do. 1. It places the burden of providing support for students with disabilities on faculty members, teaching assistants, and classmates. It ought to be the responsibility of the central administration to provide these services, and to do so in a way that respects the privacy and dignity of the student. 2. Faculty members cannot maintain the notes they need to properly do their own work and simultaneously provide students with tailored notes that are sufficiently detailed and appropriately reflect the material as presented in the classroom. This is particularly true given that students with different needs may require different types of notes. 3. Confidentiality and quality of the learning experience might be jeopardized when asking a student to take notes and provide them to a classmate. One should be very concerned on behalf of the student who needs notes provided to them, as this method provides no guarantee that the notes will be high-quality and tailored to their specific learning needs. 4. Many students already struggle to take good notes for themselves, let alone for others. Taking notes is a skill that many instructors spend considerable time teaching students. Notes should not be simple transcription, but should rather be unique to each student as they consist of interacting with and expanding on what is learned from both readings and lectures. 5. Teaching assistants have many other tasks and responsibilities associated with their presence in class, and cannot be asked to take notes appropriate for a student without unduly burdening them and compromising their ability to fulfill those responsibilities. If these are the kind of changes that will be taking place under the University’s new leadership, students and those who care about them should be worried. This measure signals that a program like SDS is not deemed “critical”, and that services that have been provided in the past by trained staff will be assigned to faculty, teaching assistants, and students. Changes like these are unlikely to be scrutinized because vulnerable minorities who have been stigmatized are doubly disadvantaged: they are the first to be victimized and they are the least likely to publicly protest. We have heard some members of the Board of Regents and the president say that we must embrace change to move this institution from being great to becoming greater. 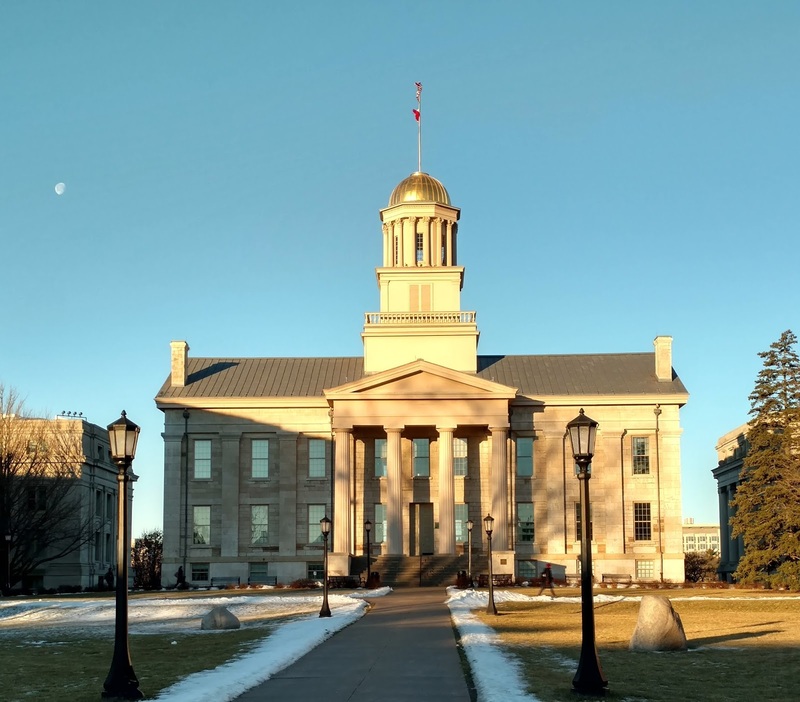 Does cutting support to a program that provides services to students with disability make Iowa great? A public university greatness should not be measured by national rankings arbitrarily developed by the likes of U.S. News & World Report, but by a specific plan, deliberately developed, to meet the specific needs and priorities of the community this university serves. For a public university, one would hope that caring for students with disabilities, eradicating racism, promoting diversity, guaranteeing access to learning, and providing a safe environment for all students and employees are defining goals. These are the goals of institutions whose mission includes uplifting members of society who are too few to register in surveys or too disempowered to sway public opinion in majority-driven democracy. Those interested in social justice should be worried that the “spreading of the peanut butter” will benefit those who feast on caviar and not those at risk of living off bare crumbs. Let’s hope that in the next “town hall” meeting, the president will present a vision that includes these values. * Prof. SOUAIAIA teaches at the University of Iowa, with joint appointment in International Studies, Religious Studies, and College of Law. Opinions are the author’s, speaking on matters of public interest, not speaking for the University or any other organization with which he is affiliated.